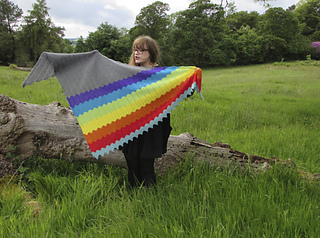 This pattern has now been updated and the new PDF uploaded. For anyone working from the original print version please see the errata below. Page 7, Jokulsarlon Written Insrtictions 1 - Row 2 shoud read “and all WS rows: Knit.” Ignore the (12 sts) this is wrong. Page 8, Jokulsarlon Chart 2 rows 7, 8 and 9 and Page 9, Jokulsarlon Written Instructions 2 rows 7, 8 and 9. After the last ssk, k2tog, all rows above should read kfb, k1. 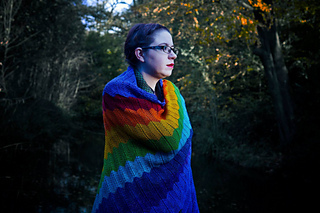 You can use any 4ply yarn, but I’d suggest something along the lines of Jamieson’s (alternatives above). The colour range is spectacular and the chevrons will keep a nice crisp shape. I only had a couple of of meters left from my MC so if you are in anyway worried about running out of yarn or not getting gauge then buy an extra ball! 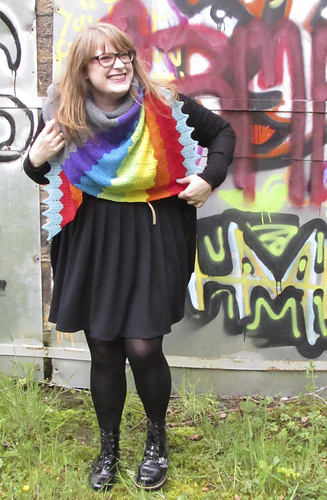 Jokulsarlon is an easy and versatile asymmetrical shawl which makes use of chevrons to show off a striped rainbow: chevrons show off stripes of colour so nicely! 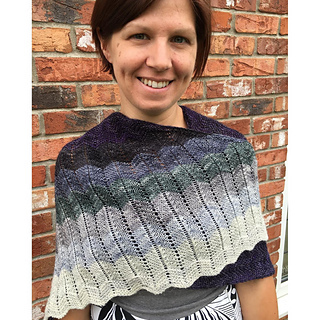 The change between garter and stockinette makes for interesting texure and changes the knitting up to keep things interesting. 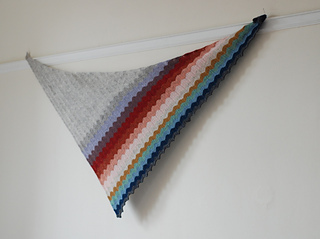 The pattern is very intuative and easy to remember so would make a great travel knitting project. 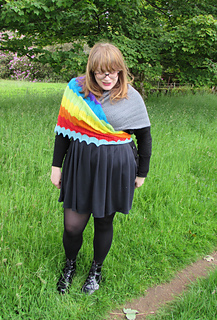 It’s also great for using up odd ends of yarn - sock yarn and colourwork leftovers would be perfect! 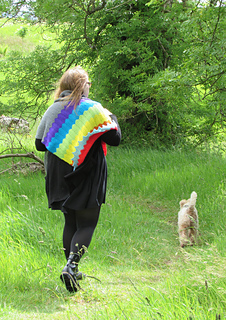 If bright and bold rainbows aren’t your thing you could try some gorgeous gradient yarn, make up your own gradient from the stunning selection of colours Jamieson’s of Shetland spin, or make up a rainbow of your own choosing and wrap yourself in lovely colours that make you happy!